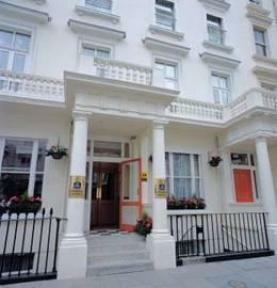 Hotels, Guest houses and bed & breakfast in around near Clerkenwell London all with real-time, confirmed online reservations. Clerkenwell is a locality in the southermost part of the London Borough of Islington. Clerkenwell is the home of two of London's largest nightclubs, Turnmills and Fabric, giving the area reputation as one the very best areas in London for an evening out. The nightlife is centred on the north side of Smithfield market, revellers gathering alongside delivery teams from across Europe at the meat market on nights throughout the week. Several pre-club venues such as Smith's of Smithfield, Meet and Bed Bar have flourished in the area. A number of traditional pubs also line the market and the surrounding warren of streets. Clerkenwell is bordered in the south by Holborn Viaduct and Newgate Street, and in the east by Aldersgate Street. Clerkenwell Green lies at the centre of the old village, by the church, and has a mix of housing, offices and pubs. 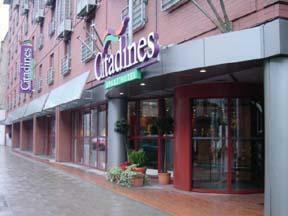 Citadines is surrounded by many services & exciting social events such as: The Barbican Centre and Theatre, Sadlers Wells Theatre and The London Museum. Citadines is a 5 minute walk from London's famous Fabric and Turnmills nightclubs and a short bus ride from Hoxton square. 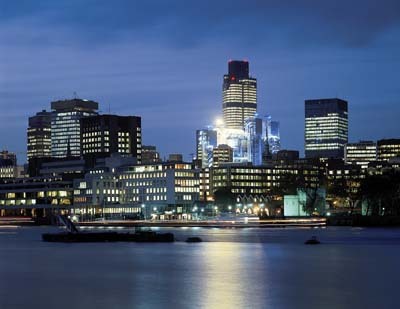 Thistle City Barbican is the ideal base for doing business in the city. 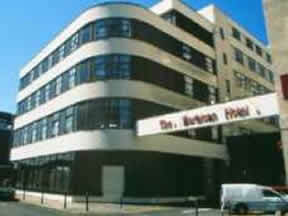 Leisure guests will also enjoy the hotels central location and extensive leisure facilities. 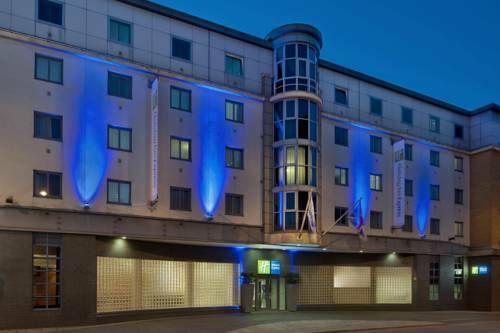 Ideally located, Holiday Inn Express London City is minutes from the financial districts of Broadgate and Bishopsgate and a 3-minute walk from Old Street Underground Station. All spacious rooms feature a large desk space, an interactive satellite TV and an in-room movie system. Each room has en suite facilities, with a power shower.